BROOKLYN, Mich.— Of course Erik Jones thought about it. How could he not? With the race halted by a red flag for a little over five minutes with just two green flag laps left in the Pure Michigan 400 on Sunday at Michigan International Speedway, Jones let his mind wander to what it would be like to win the race. Not only would it have been the first win of his Monster Energy NASCAR Cup Series career and lock him into the postseason, but it would have come at his home town track. 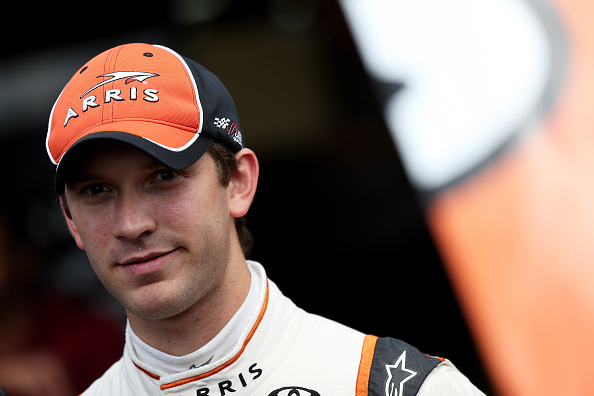 A native of Byron, Mich., Jones grew up 99 miles from the racetrack. “(The red flag) gives you a lot of time to play through scenarios on the restart and how you want it to work out. It’s very rare it ever works out the way you picture it in your head,” he said. And this one didn’t, either. Instead, Jones settled for third. He would have had to beat his teammate to get that win. 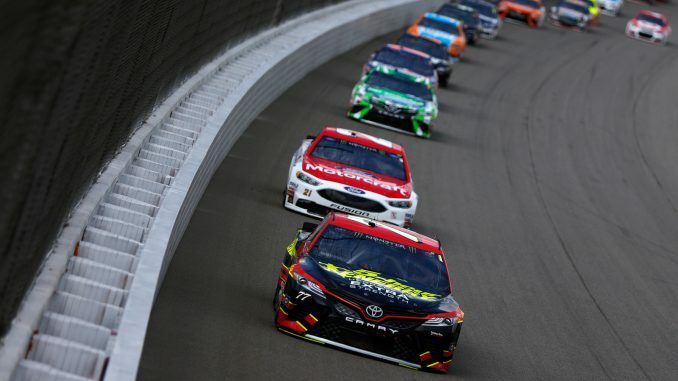 Jones was second on the final restart alongside his Furniture Row Racing teammate Martin Truex Jr.
Before the question could even be asked, Truex said flatly Furniture Row Racing does not have so-called “team orders” and that there was no chance he would let Jones win. Jones cannot make the Monster Energy NASCAR Cup Series playoffs on points, and will have to win one of the next three races to make the postseason.